This tracks explores the world of STEM - giving a strong foundation to build on in the area of Physics, Technology and Engineering. Classes and Camps such as Early STEM, Intermediate STEM, Bridge Engineering, Pnuematics, Renewable Energy, Life Sciences, Rocket Science and Engineering, etc give a beginner as well as an advanced learner to reinforce their concepts and create their own unique models with hands-on building challenges. This tracks explores the world of Robotics - whether it is with Legos or with several new Robot blocks that we have. 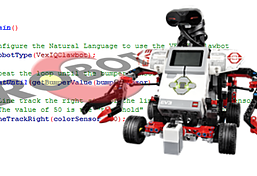 Classes and Camps in this track allow learners to not only build the robots but also program them so that the robots perform the actions that they are designed to do. Several challenge problems (including some from advanced Robotics Competitions like FLL and Vex) are given to students for them to ideate and solve and implement. CELEBRATE WHILE LEARNING! Book your childs birthday party here. Let your child have his or her “best birthday ever” at Science Cosmos. Celebrate a customized party appropriate for your child's age, which will be long ﻿remembered﻿. Kids will have a great time building inspiring Lego models and will learn concepts in science and technology in the process.You can also choose a Minecraft Party instead which is also a popular choice with kids.